Moldova and Bulgaria recently joined Hungary, Slovakia and the Czech Republic in electing leaders with strong ties to the Kremlin. Romania remains the last pro-European bastion, writes Nicolas Tenzer. Nicolas Tenzer is chairman of the Paris-based Centre for Study and Research for Political Decision (CERAP). Much like its neighbours, Romania is also witnessing the rise of illiberal movements, especially the Coalition for the Family, a group strongly opposed to LGBTI rights. Despite its ties to the Orthodox Church and pro-Kremlin far-right movements, Romania’s National Liberal Party (PNL) has signed an agreement with the coalition supporting a constitutional referendum that would close the door on gay marriage. It is also rather obvious that Russian propaganda, which is spreading in the country through a vast constellation of Romanian online media sites, might attract the most vulnerable people, the unemployed youth and the elderly who are susceptible to anti-Western and anti-liberal narratives, both to this campaign and to a broader rejection of the liberal order. So far, all these efforts have failed to crack the political mainstream. Romania’s political establishment has successfully resisted the emergence of a strong pro-Russian voice in the country. Indeed, when former Prime Minister Victor Ponta called for “good relations with Russia” after Donald Trump’s election, his colleague and president of the Social Democratic Party (PSD), Liviu Dragnea, condemned the speech immediately. This is important: if polls are to be believed, the PSD will sweep to power following the December elections and replace the technocratic government led by Prime Minister Dacian Cioloș, a PNL-aligned technocrat and former EU Commissioner. Cioloș was handpicked by President Klaus Iohannis (PNL) to replace Ponta, who resigned in November 2015 after a string of corruption allegations triggered by a club fire that killed 64 people. According to the latest numbers, PSD and its junior partner, the liberals from ALDE, are expected to get 52% of the vote and 56% of the seats in parliament. And while there is no immediate risk of a populist revolution like in Hungary or Poland, the economic and social crises brought about by low salaries could be an opportunity for illiberal groups to push such an agenda. Despite enjoying the EU’s fastest economic growth in 2016, the Cioloș cabinet didn’t manage to translate that into better living standards. As a well-respected technocrat, but with shaky political support, his margins of manoeuvre were limited. If the PSD wins the elections with a sufficient margin, it could enjoy much greater legitimacy in running the country. Surrounded on all sides by countries that are slowly pivoting towards Russia, Romania’s future cabinet will have a difficult job ahead in nipping rising populist feeling in the bud. First of all, the new cabinet must reaffirm Romania’s willingness to remain faithful to NATO and the EU. There are few doubts about it, but it is crucial for Europe and Romania’s security that Bucharest be recognised as an island of pro-Western partnership. We should not forget that Russia now encircles Romania with new puppet presidents and that Russian troops stationed in Crimea are just 250 kilometres from Romania’s Black Sea coast. The increase and improvement of defence capabilities, which Dragnea is advocating, is a good move in this direction. Secondly, the future cabinet must ensure that its economic program is ambitious enough to give hopes to Romanians suffering through low wages and pensions, without undermining the budgetary balance. In spite of planned tax reductions, the PSD program is heading in this direction. Thirdly, the new cabinet should be truly committed to pushing forward European and liberal values. Any complacency on populism and illiberalism, including indifference to gay rights, would be badly interpreted by Romania’s European partners. Such trends could even legitimise dangerous populist groups inside the country. This fight against illiberal principles must also be coupled with a genuine commitment to guarantee civil rights and dignified treatment for the Roma minority. In this respect, the commitment in the fight against corruption, spearheaded by the Romanian Anti-Corruption Department (DNA), is obviously a key issue that is set to continue, given the poor track record of some political figures on both sides of the political spectrum. Fourthly, supporting the EU should be the first priority of the cabinet. While Russia and its populist allies in Europe are trying to dismantle and undermine the EU and European values, Romania should show a true concern to push for a sustainable reform of the EU in the context of Brexit and the threats to media freedoms and the values of tolerance and openness being aired in Hungary and Poland. As for the EU, Brussels and big member states like France and Germany should take note of the fact that Romania is a bulwark against Russian expansion in Europe and encourage its pro-Western stance. Lifting their opposition to Bucharest joining the Schengen area would be a welcome first step. Romania will chair the European Council’s rotating presidency in early 2019, exactly when the UK and the EU are expected to finish Brexit negotiations. 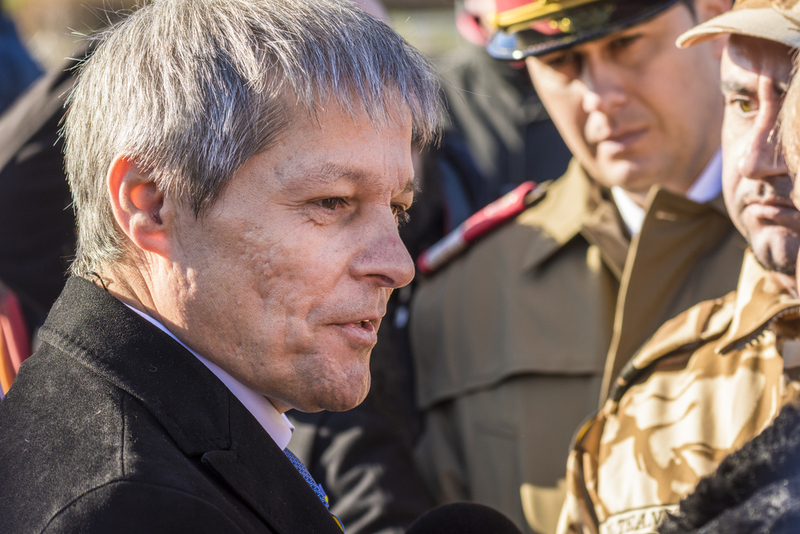 Due to his former position, Cioloș is very popular among his fellow European leaders. The rest of the Union, however, should not overlook the strong pro-European stances of the rest of Romania’s political sphere as well. If the PSD does go on to win its expected victory and form a stable government, it would certainly also offer Romania welcomed stability at a time when Moscow is encouraging chaos. I don’t why the US/EU go on and on about Russian expansion , Russia is Not trying to expand ! It is the EU alone that is attempting expansion !! !